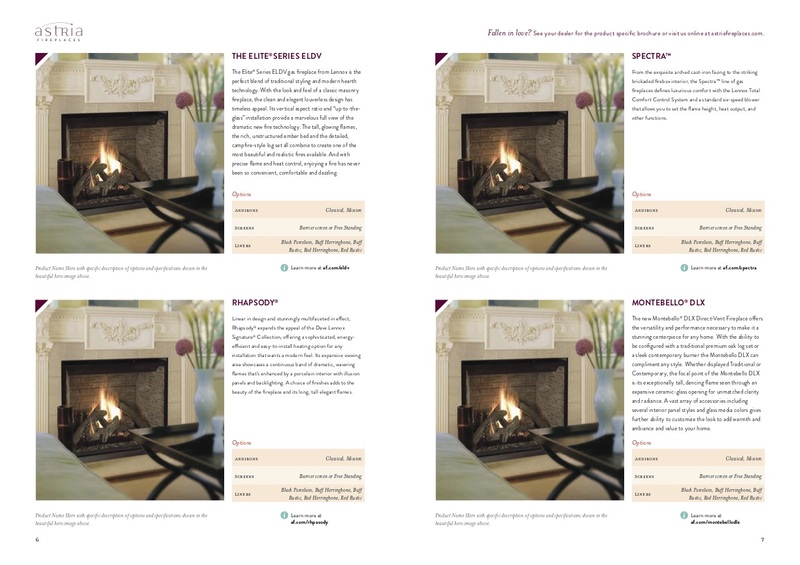 When Innovative Hearth Products was faced with the multifarious challenge of unifying three businesses, introducing multiple new brands, and promoting hundreds of products as part of their new national merger, they turned to Eberly & Collard Public Relations for the gamut of strategic B-to-B and B-to-C branding development to integrated marketing and publicity management. 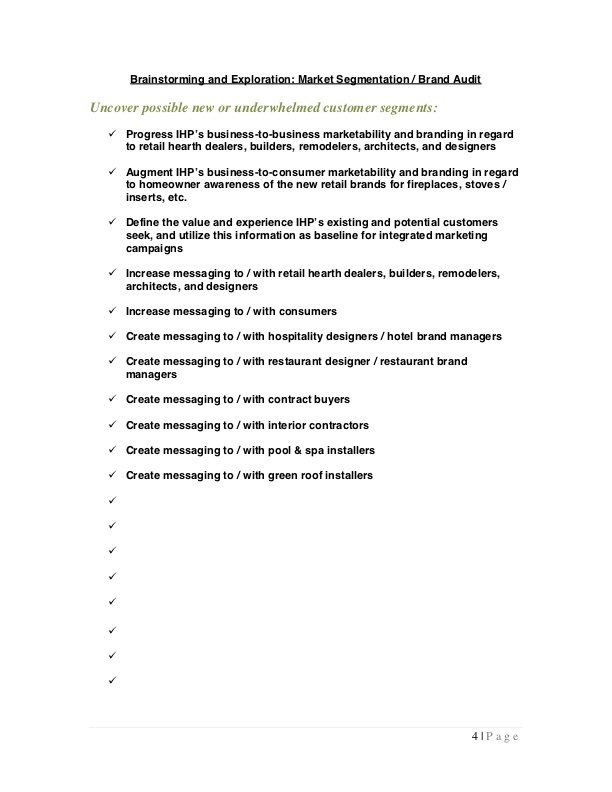 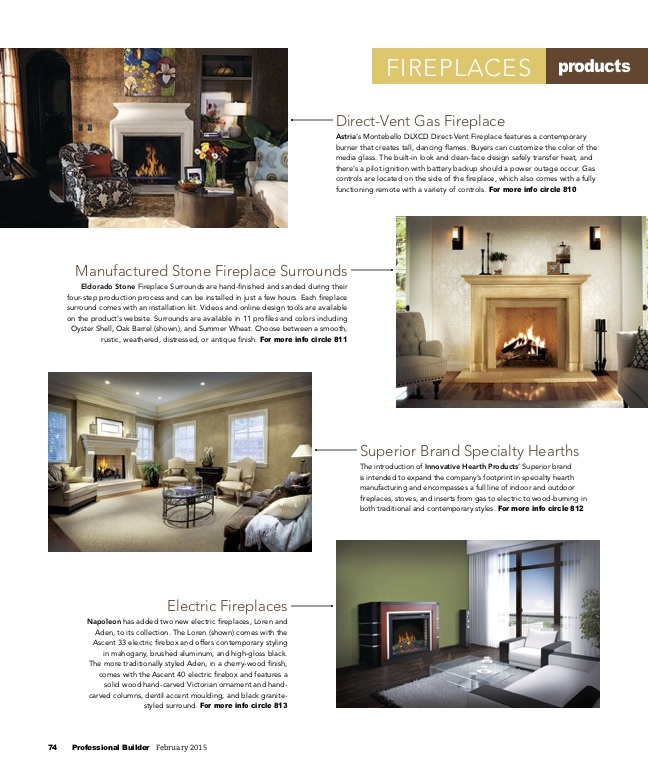 Managing and facilitating a variety of branded product launches, public / media relations strategies, advertising campaigns, speaking events, and social media campaigns to grow brand cognizance about one of the United States’ premier fireplace, home heating, and Smart Home technology products manufacturers as well as the fact a recent brand union gave rise to the client’s advancement in consumer electronics. 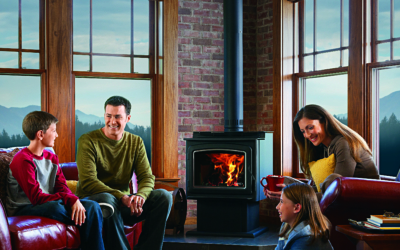 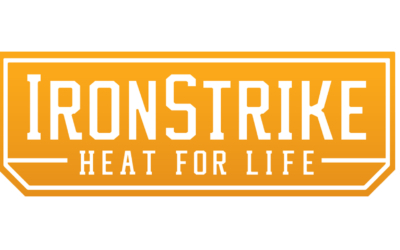 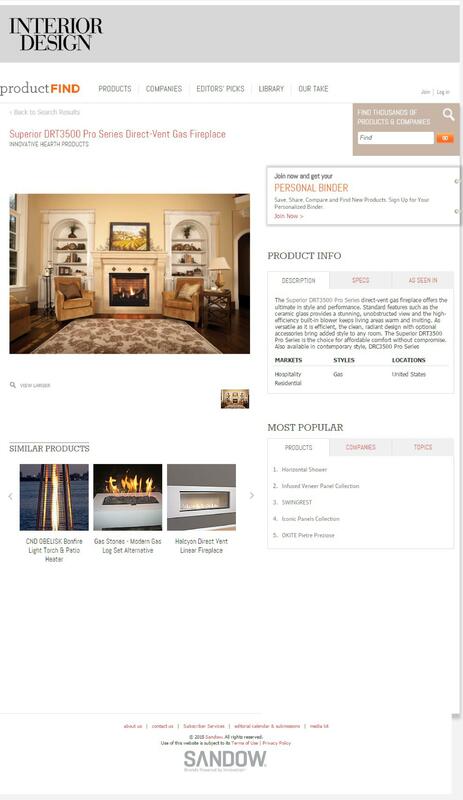 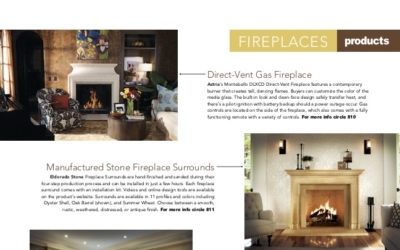 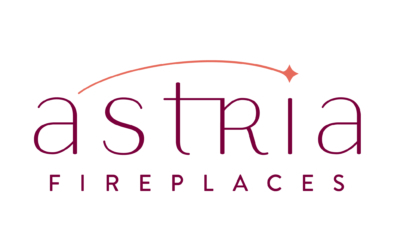 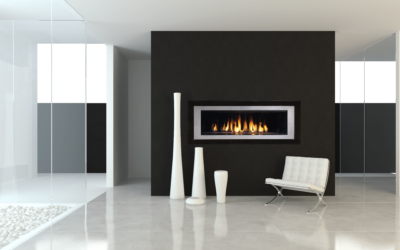 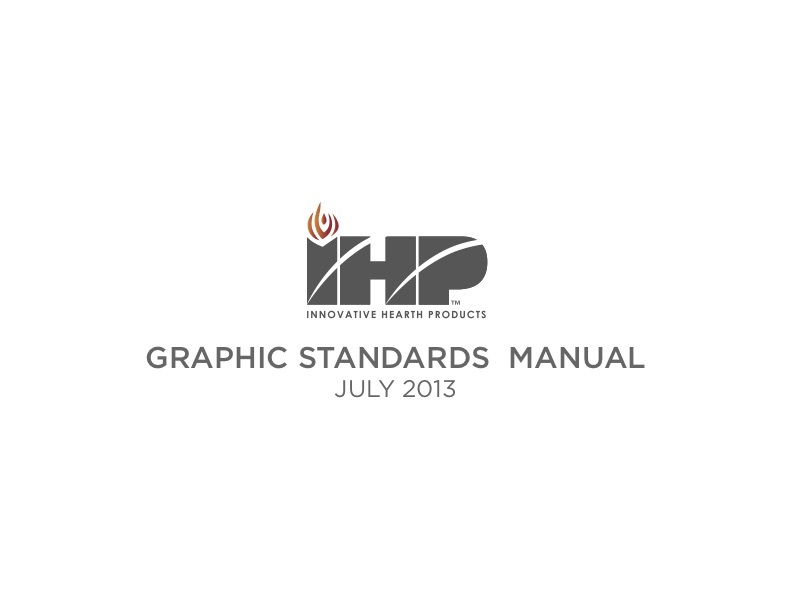 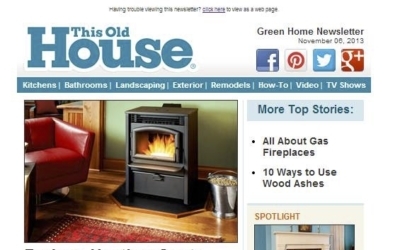 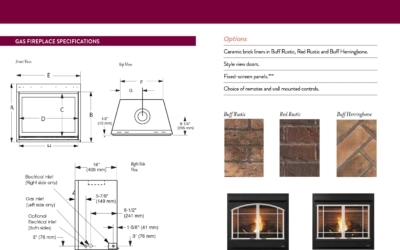 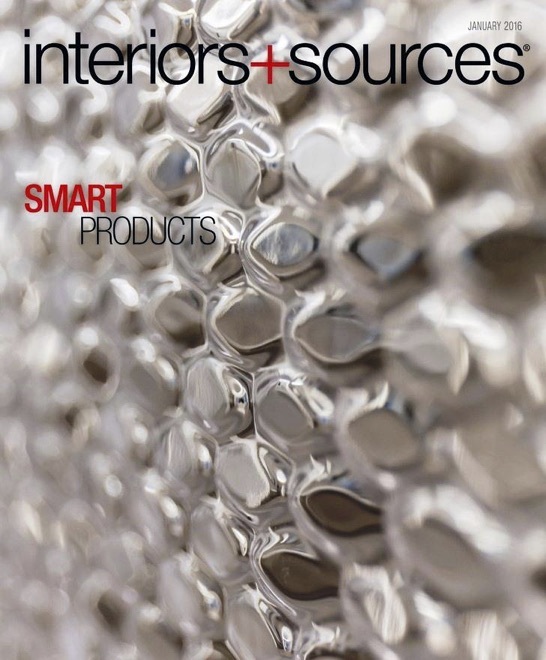 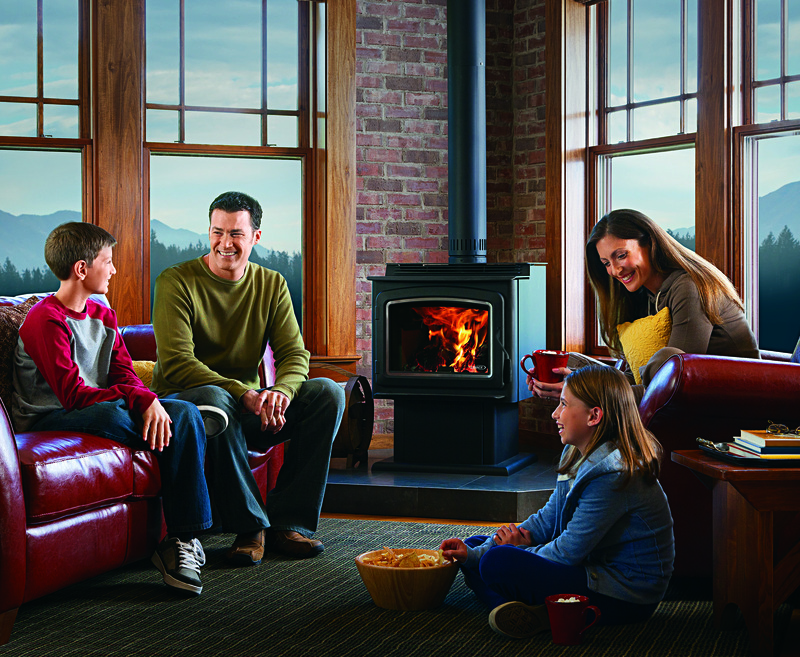 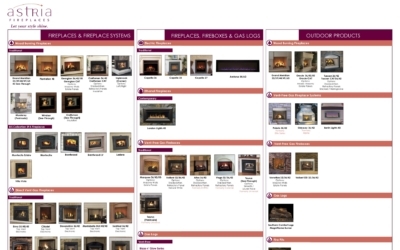 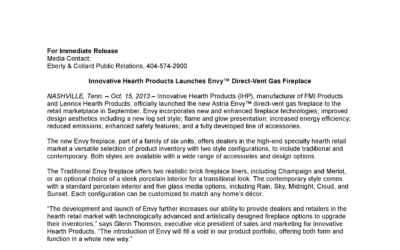 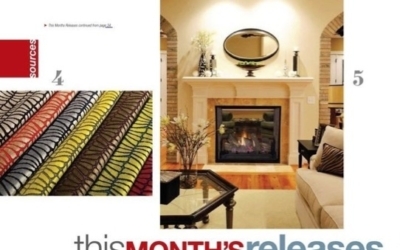 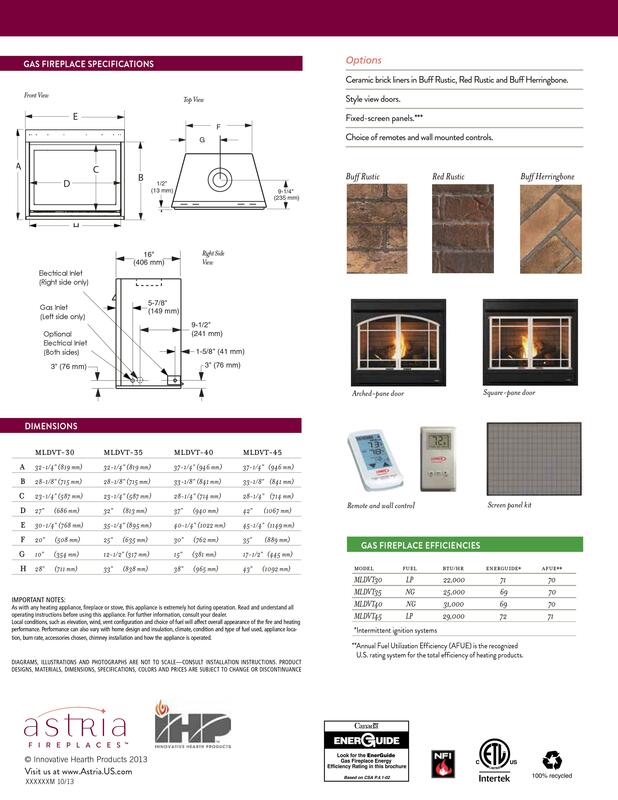 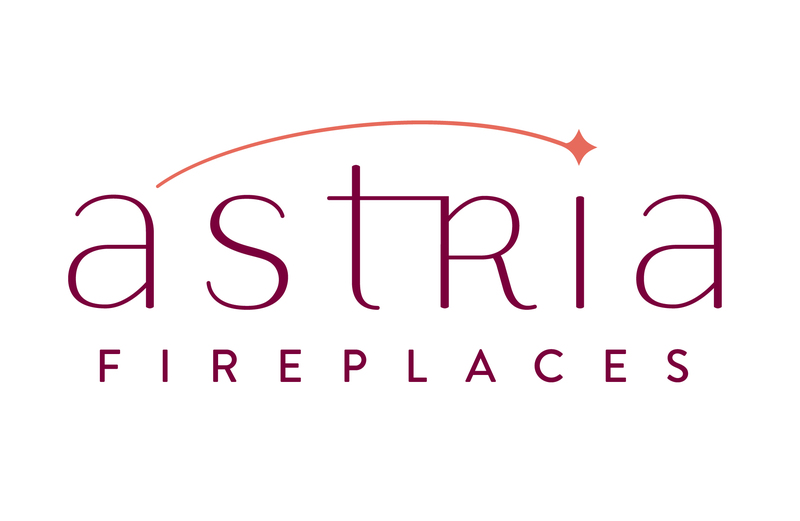 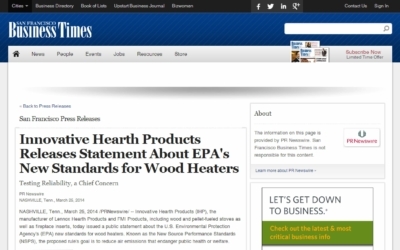 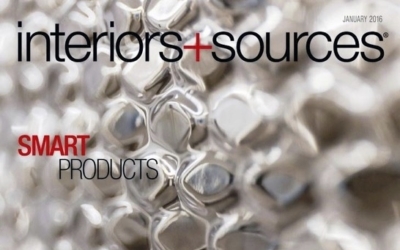 A combined goal included for Innovative Hearth Products (IHP) was to create and sustain marketability for the company’s Smart Home Technology Products, home automation devices with apps, and Smart Home technology to operate / automate high-end fireplaces, fireplace systems, decorative home heating stoves, fireplace inserts, and related accessories. 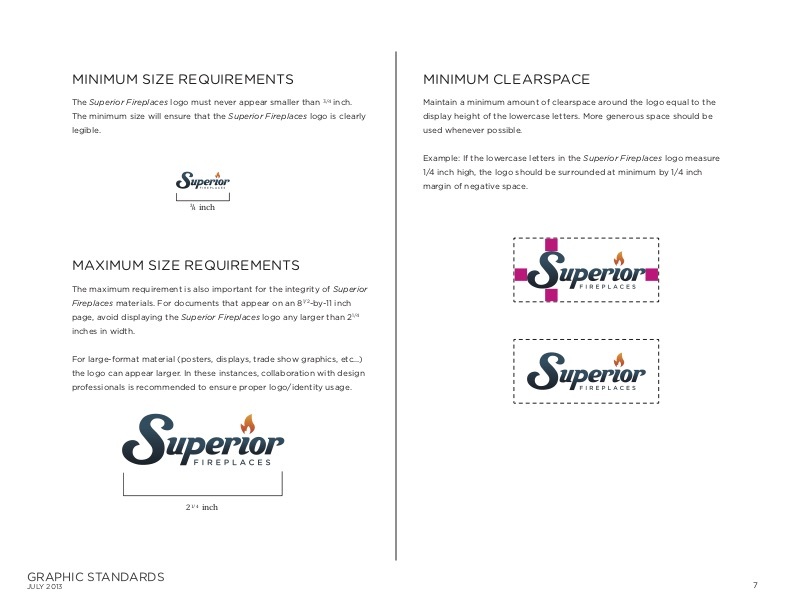 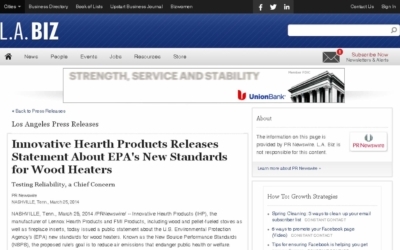 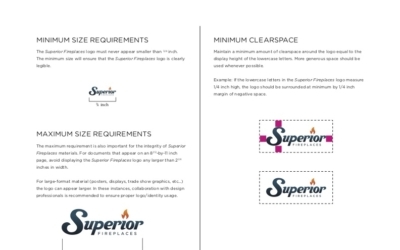 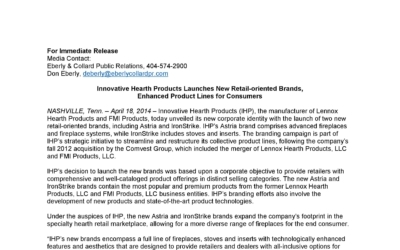 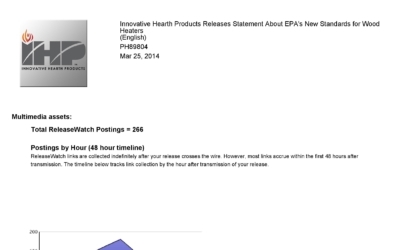 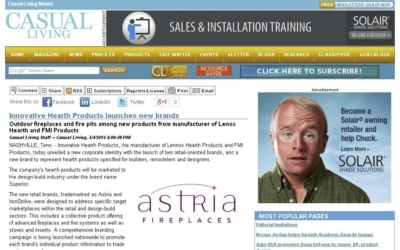 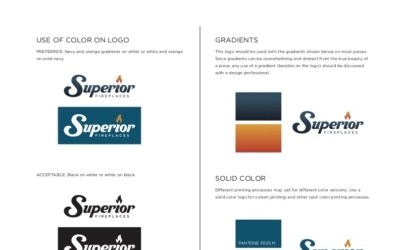 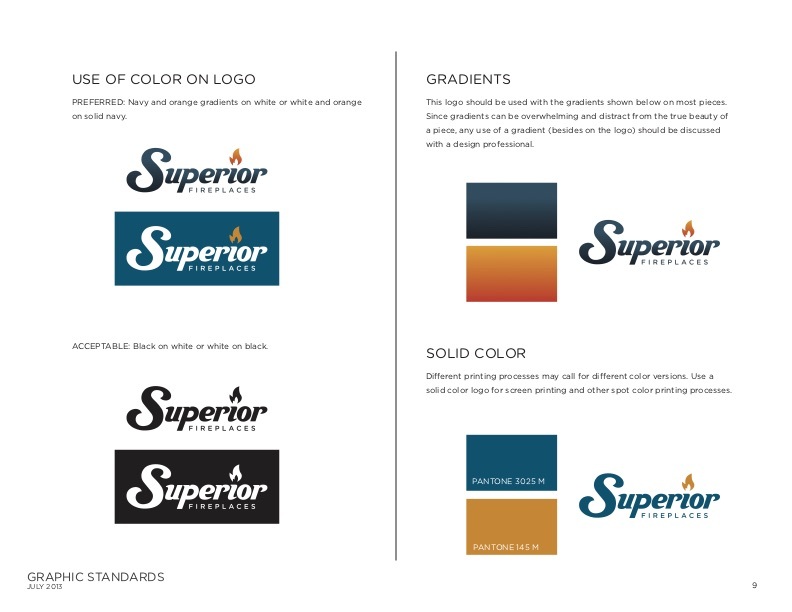 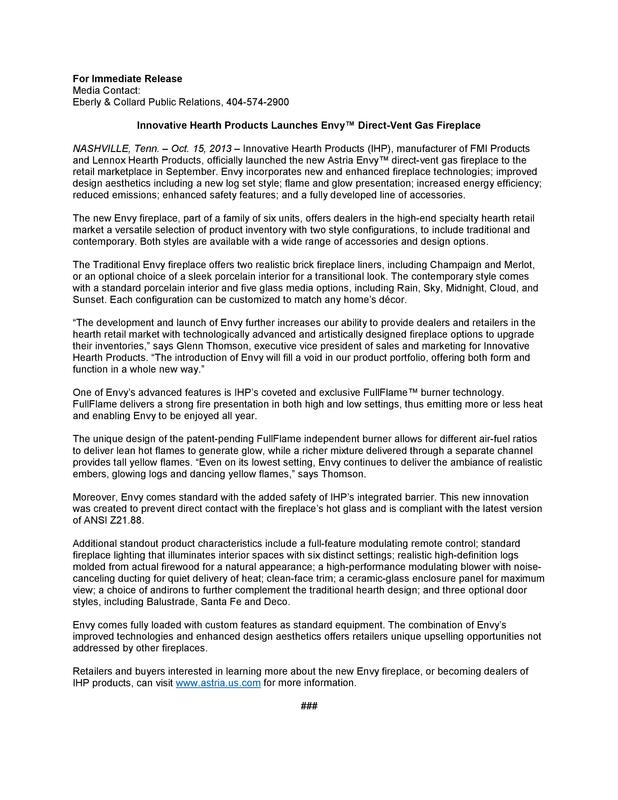 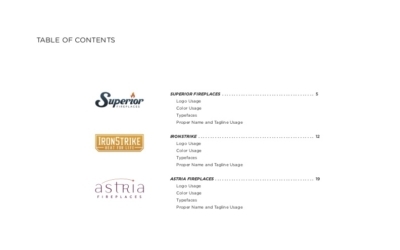 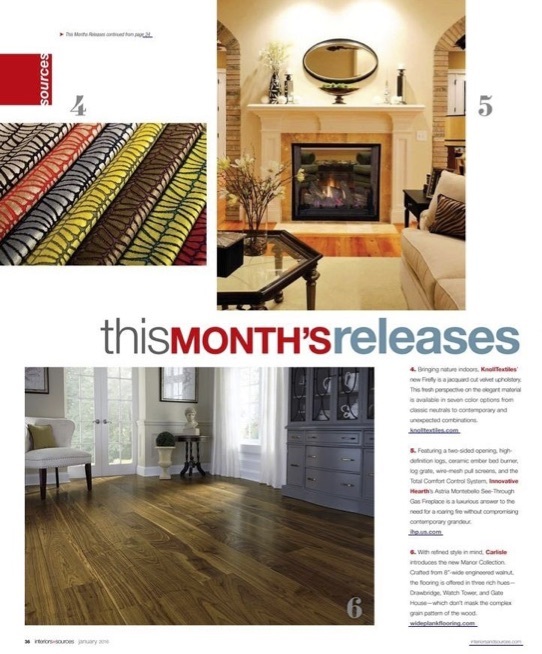 When the management of IHP acquired the former Lenox Fireplaces and Stoves company, they were faced with launching a new IHP umbrella company and developing three primary brands to incorporate and market hundreds of products to numerous business-to-business customers and business-to-consumer customers. 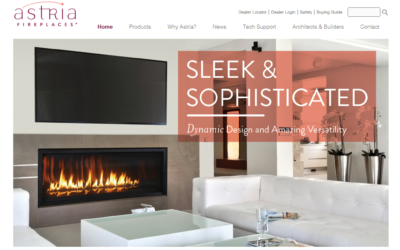 To undertake the related effort, they turned to Eberly & Collard Public Relations, given the PR firm’s specialization in integrated marketing and publicity for Smart Home application and automation products; building envelope and architectural products; as well as for the designers, developers, builders, and architects who participate in designing, developing and specifying such products. 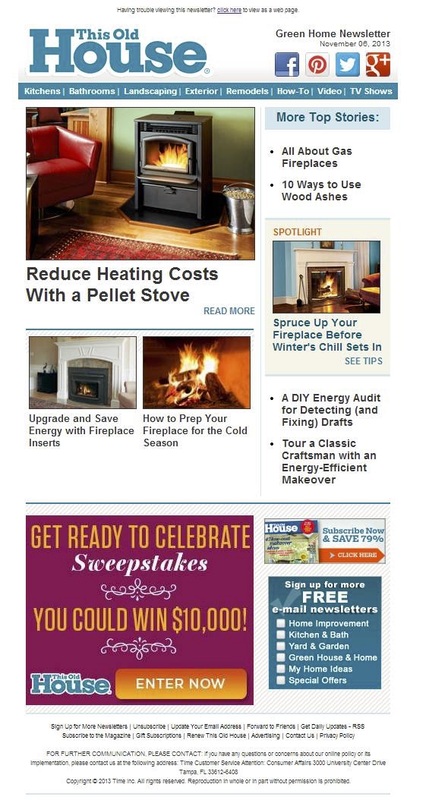 The Eberly & Collard Public Relations team set to work providing integrated marketing to promote the company’s newly formed union of fireplace / heating products and Smart Home technology to automate fireplace use (nationally named, “Watch Me Burn”) in addition to consumer technology advancements in home heating equipment and thermostats. 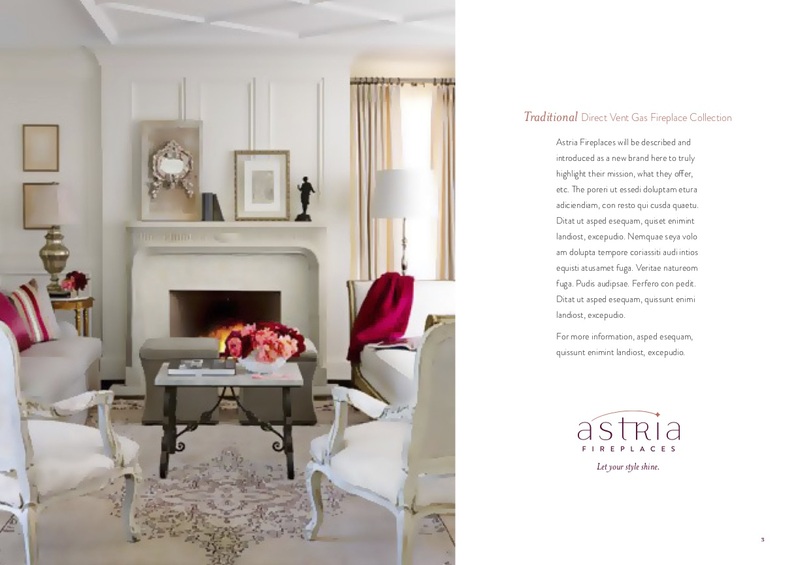 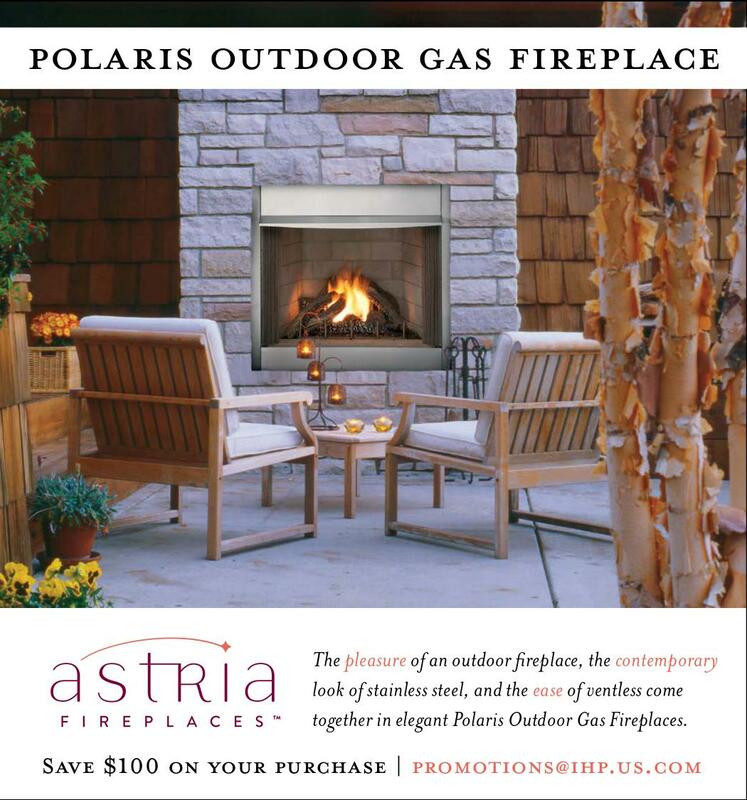 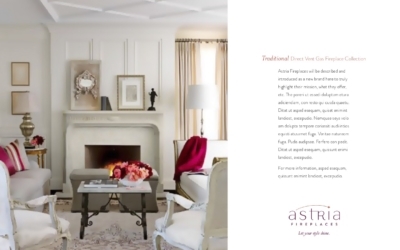 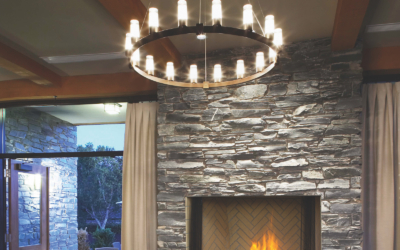 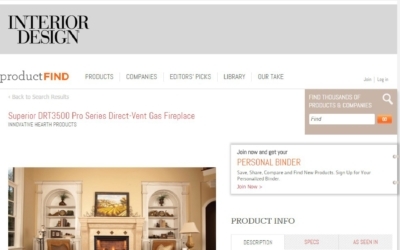 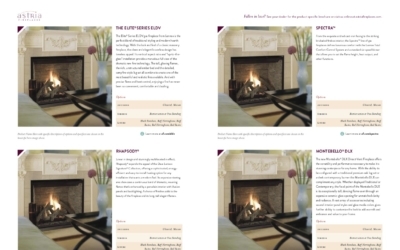 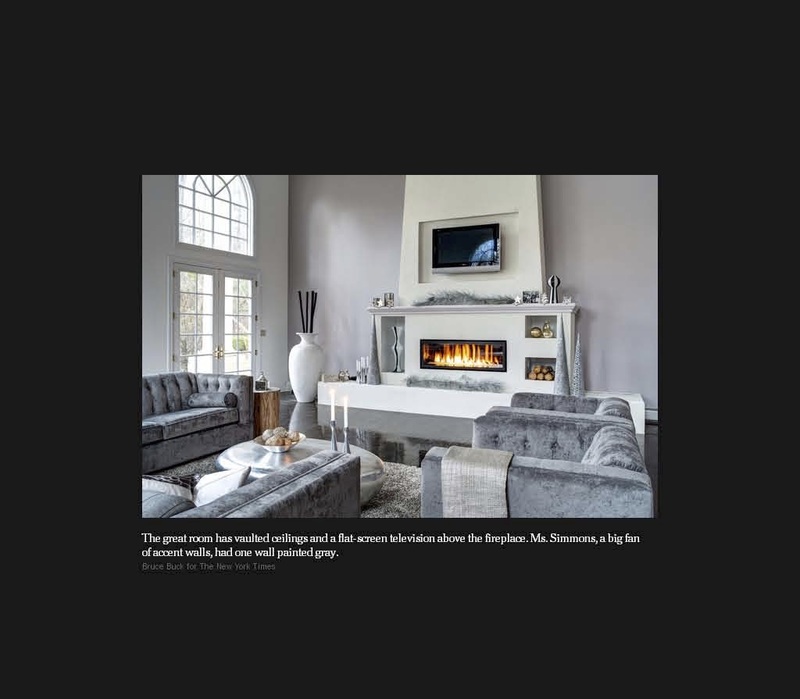 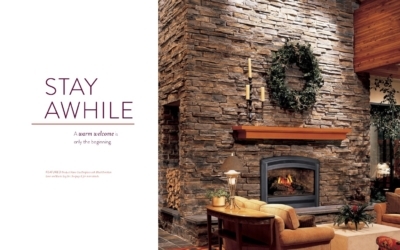 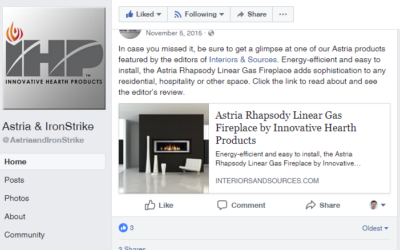 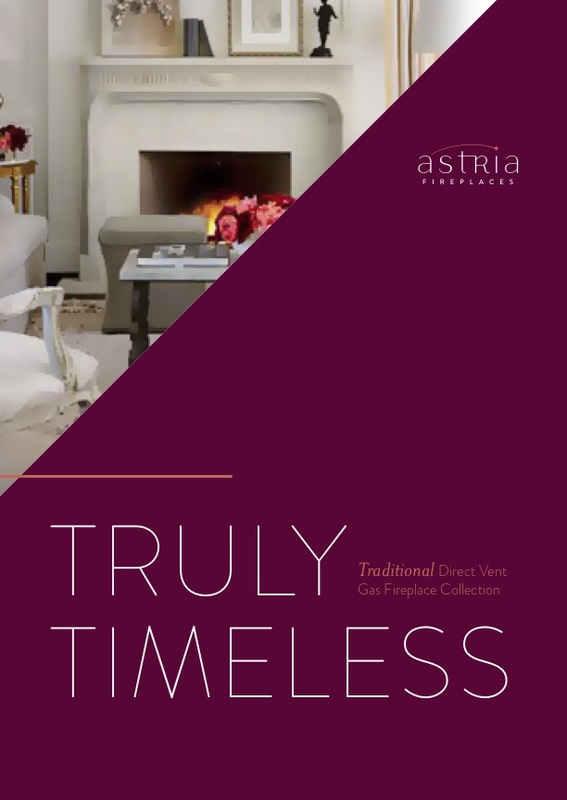 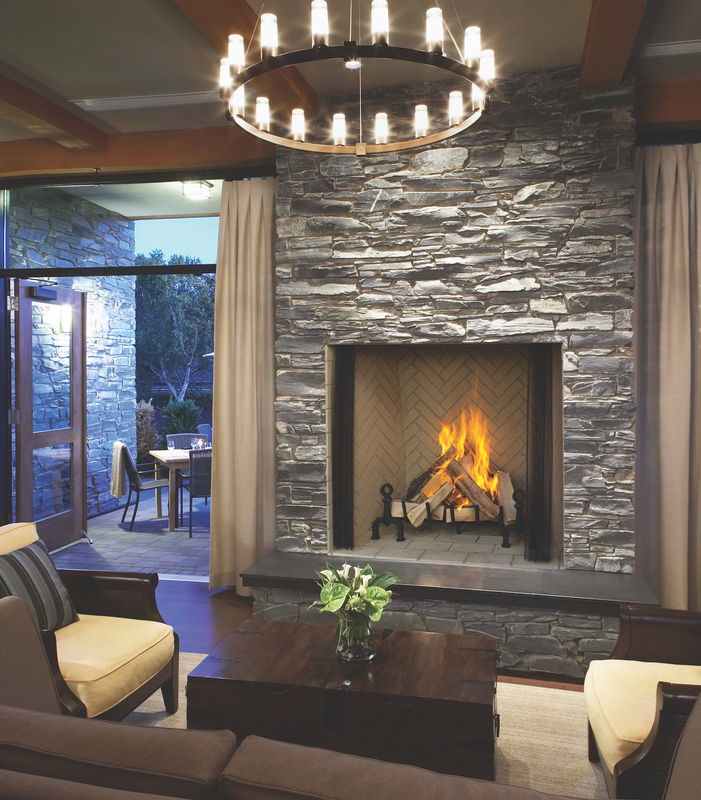 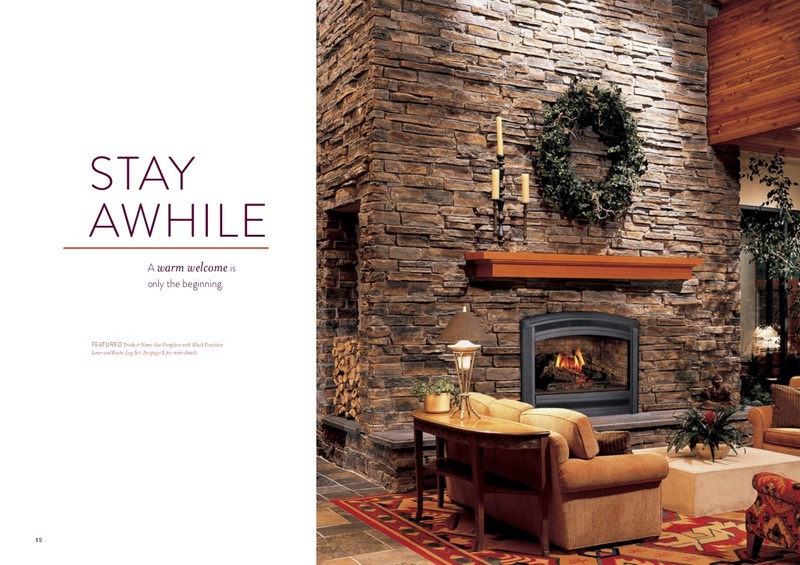 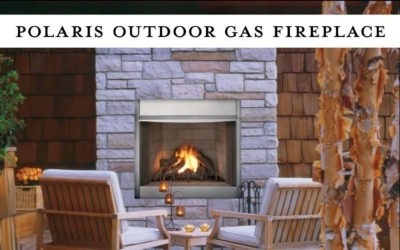 Campaigns were created to market the client’s automated technology that adds the convenience of a programmable regulator, thus, permitting users to program their fireplaces to turn on and off at specific times and on precise days of the week or month. 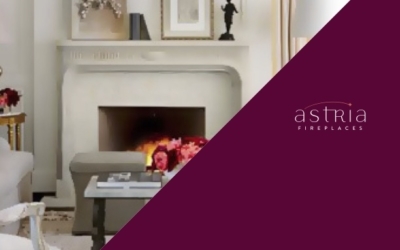 Publicity and advertising campaigns were created and implemented from coast to coast to communicate key messages regarding the Smart Home technology’s use of developed remote controls and tablet / handheld device apps to control fire flame and heat levels and timeframes. 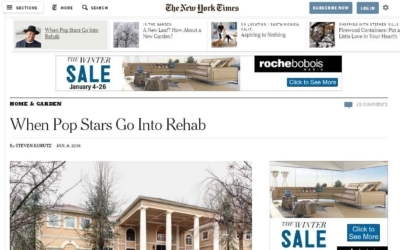 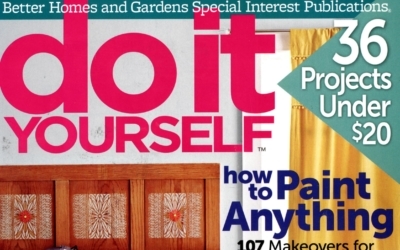 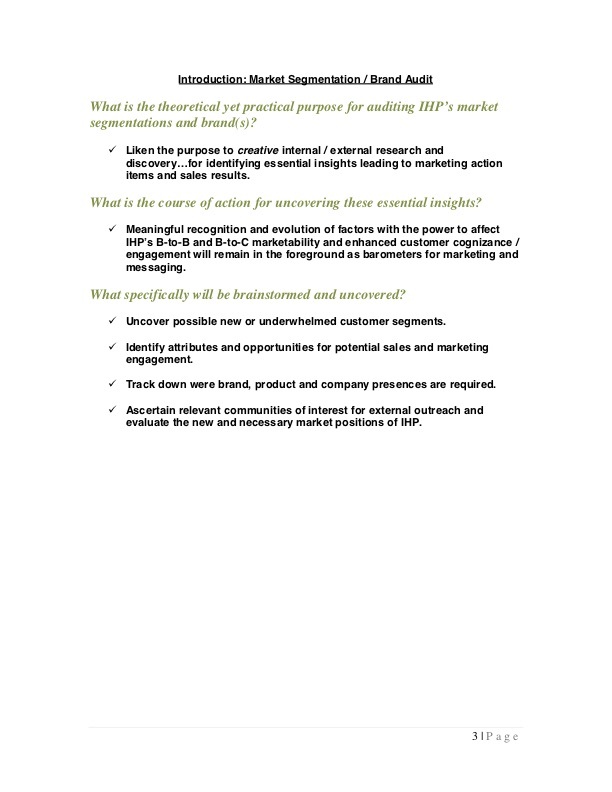 The firm also generated national interest in the ease-of-use for the technology products by marketing a series of predetermined unique selling propositions via QR Codes on printed collateral, brochures, advertisements, and digital content. 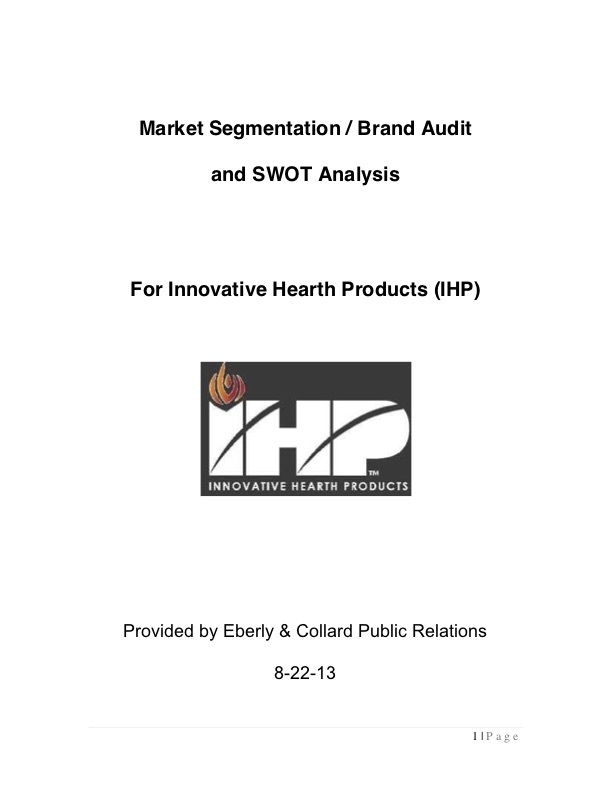 exposed marketplace purchasing behaviors and perceptions within the product categories and across IHP’s competitive intelligence. 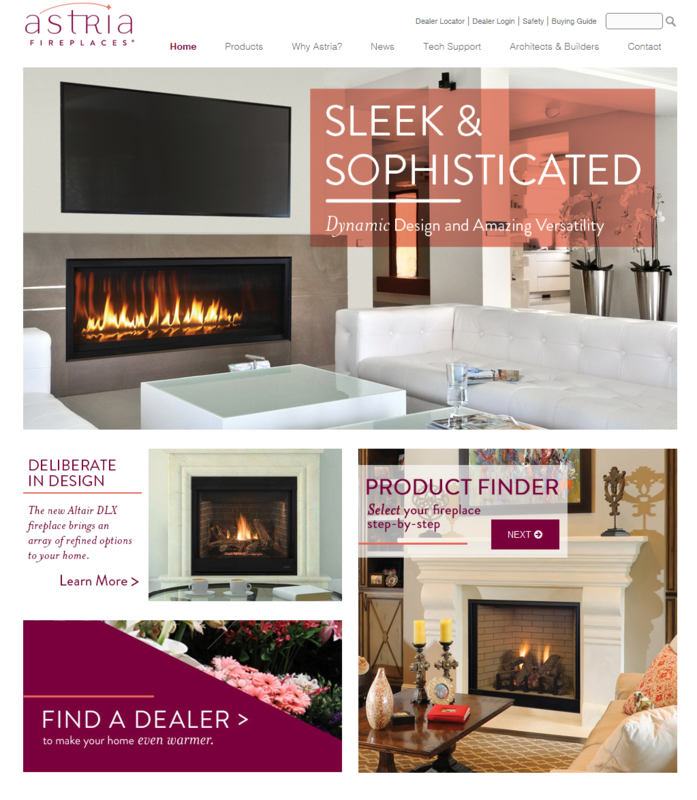 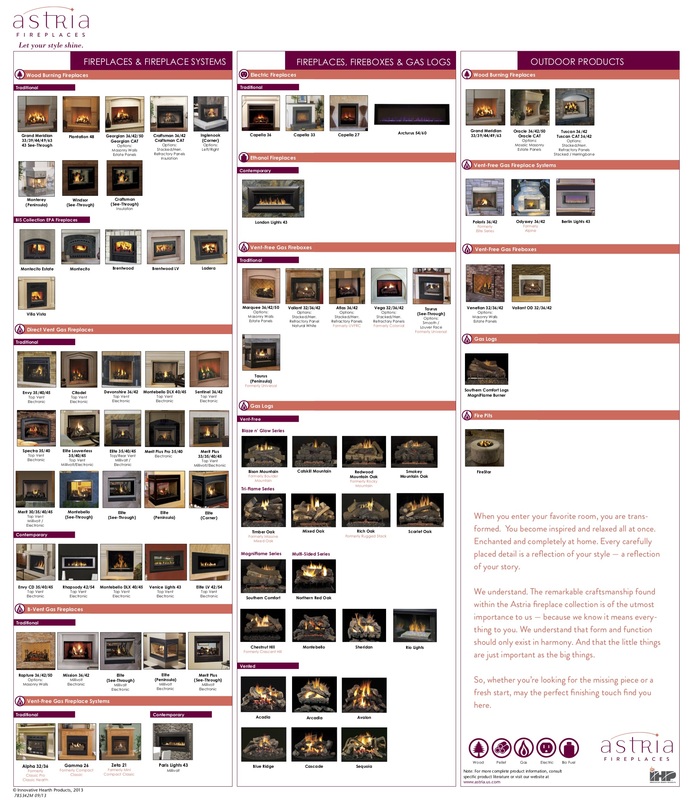 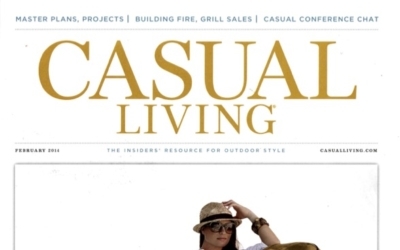 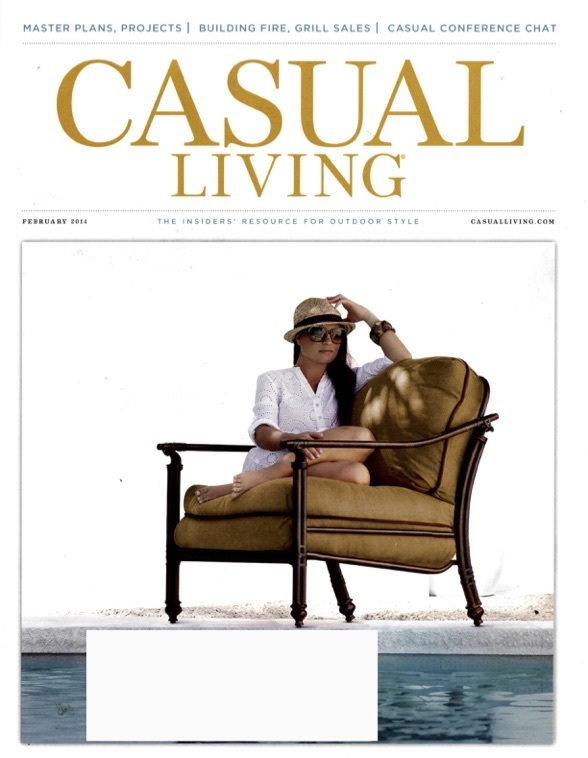 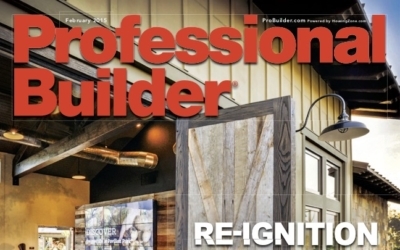 The research and planning by Eberly & Collard Public Relations placed marketing concentration upon hearth product retailers / dealers, architects, landscape designers, interior designers, builders, remodelers, and other specifiers, followed by the national consumer marketplace. 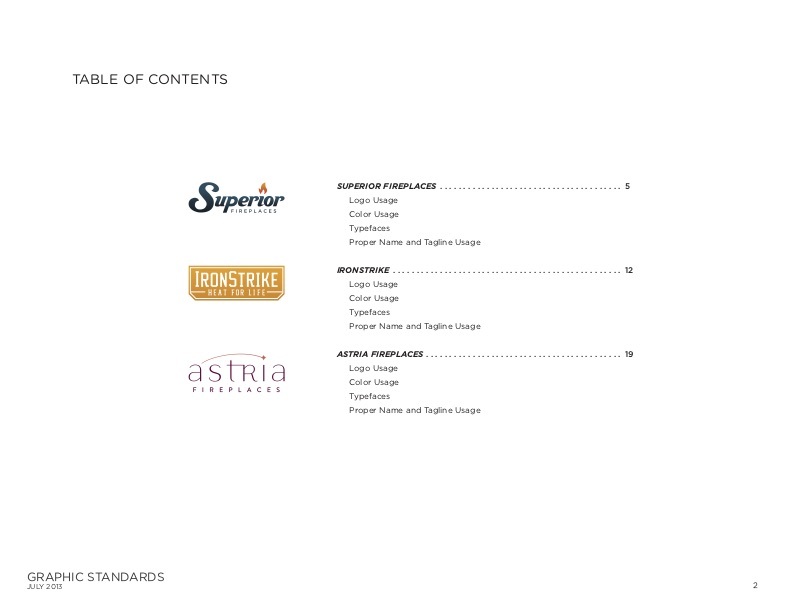 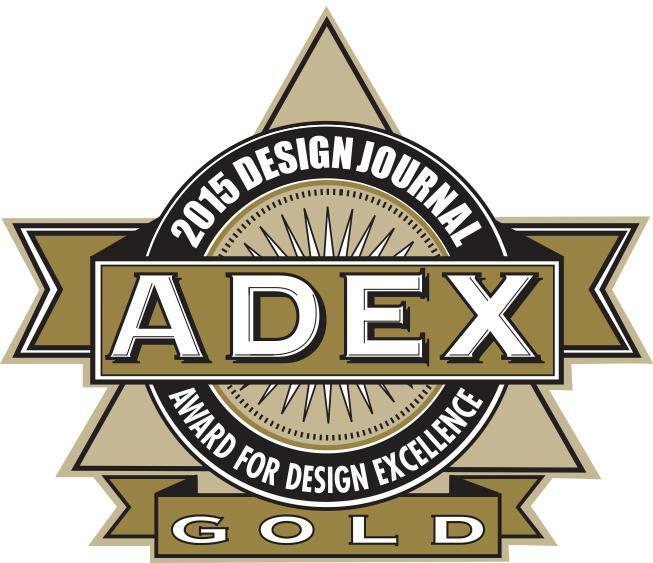 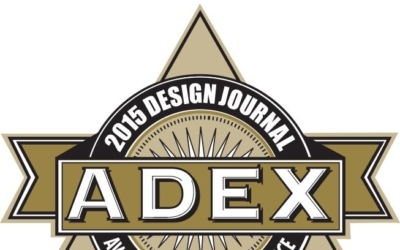 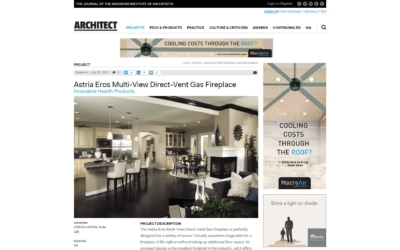 Execution involved the launch of three new brands, each rife with building / design / architecture products (under the auspices of a company acquisition); development of advertising schedules and native ads; nurturing and generating press coverage in all applicable specifier, builder, architect, and design industries to shape brand knowledge and preference on the part of design-build specifiers; creating consumer interest in IHP’s products / brands through select media coverage and social / digital media content. 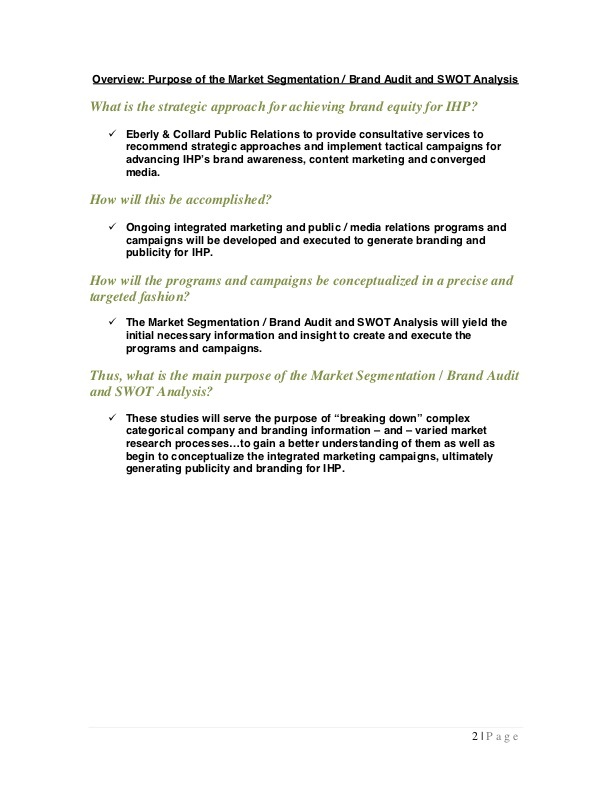 The PR team provided consultative services to enact strategic approaches and implement tactical campaigns for advancing IHP’s new branding programs, brand standards development, and via ongoing growth support for the three new brands and the launch of the company’s re-branded consumer technology offer. 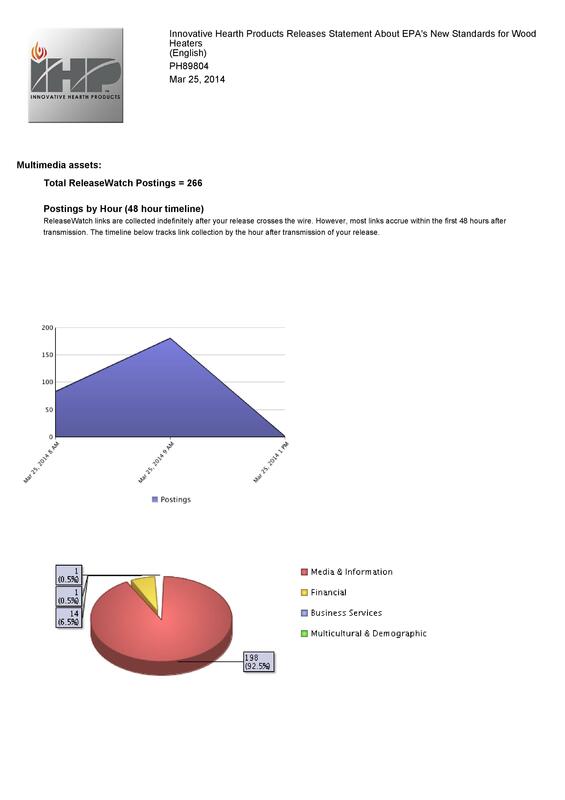 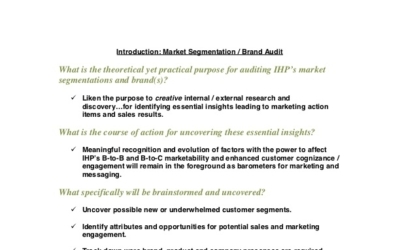 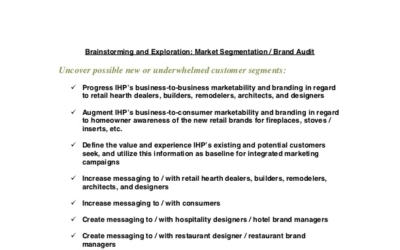 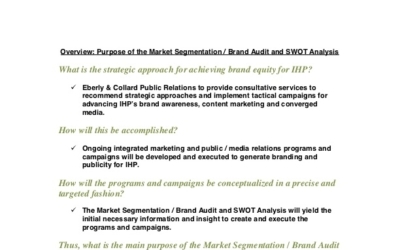 Content marketing, influencer marketing and converged media were enacted to accomplish full-scope integrated marketing and communicate IHP’s capabilities, brands, products, case-studies, logos, brand messages, advertising, and a list of predetermined product unique selling propositions to essential markets. 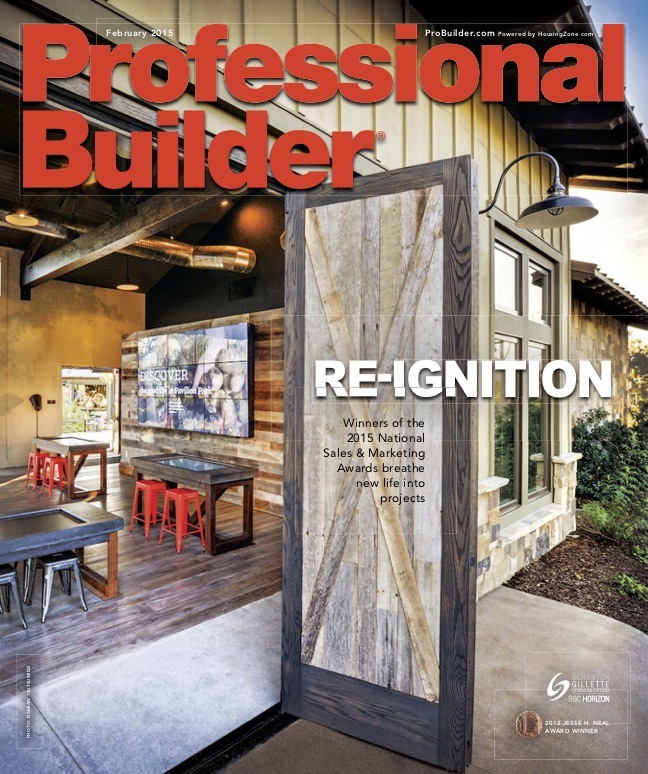 The combined brands’ Smart Home technology was the foundation for the marketing and PR team’s tactile campaigns to position the client above and beyond its competition in terms of Smart Home benefits for end-users. 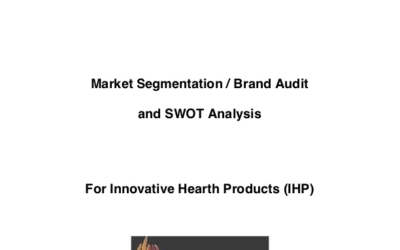 The yield was exponentially year-over-year competitive brand augmentation for IHP with expressed brand loyalty on the parts of trade and consumer customers. 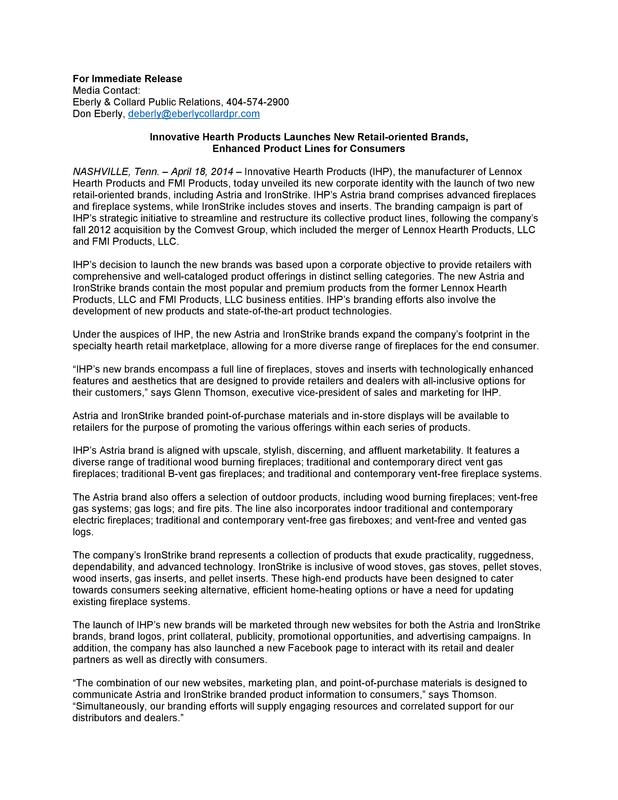 283 million new impressions were secured, leading to nearly a 15% increase in sales in under two years. 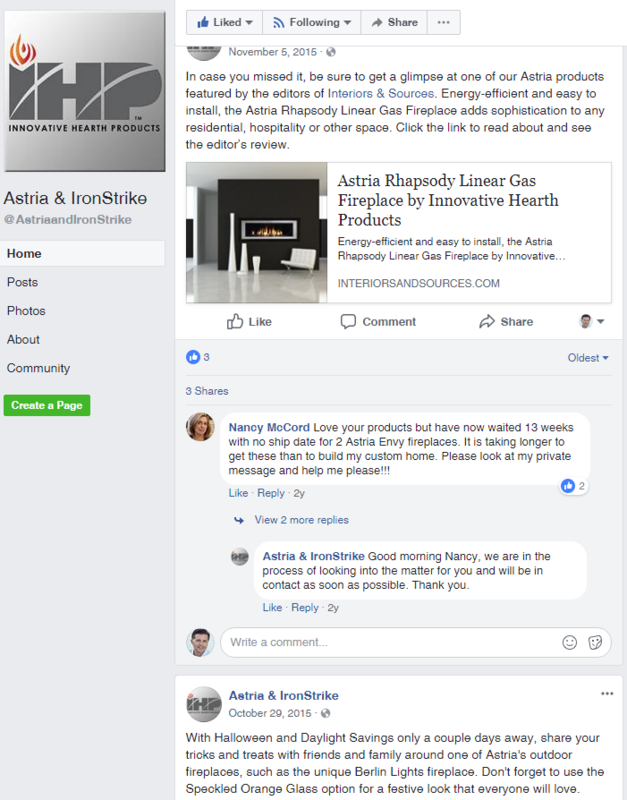 The results were so advanced, the client was able to expand by building a new manufacturing facility and hire a team of additional Smart Home app and technology developers to address the increase in sales.